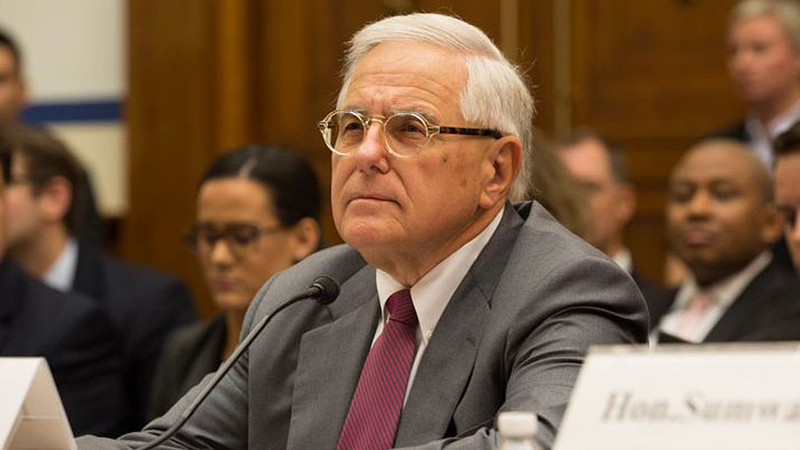 FRA Administrator Ron Batory at the Sept. 13 House Rail Subcommittee hearing on PTC. U.S. House Transportation and Infrastructure Committee/Twitter photo. Seven rail industry stakeholders testified before the subcommittee, including Federal Railroad Administrator Ron Batory; National Transportation Safety Board (NTSB) Chairman Robert Sumwalt; Government Accountability Office (GAO) Physical Infrastructure Team Director Susan Fleming; Amtrak Executive Vice President and Chief Operating Officer Scot Naparstek; Association of American Railroads (AAR) President and CEO Ed Hamberger; Southeastern Pennsylvania Transportation Authority (SEPTA) General Manager Jeff Knueppel (on behalf of the American Public Transportation Association, APTA); and Altamont Corridor Express (ACE) Executive Director Stacey Mortensen. FRA: Administrator Batory’s written testimony included possible civil penalties FRA is authorized to assess on those railroads that fail to meet the statutory deadline. 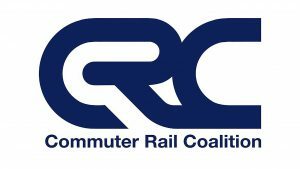 While the civil penalty schedule recommends a $16,000 penalty for failure to complete PTC implementation on a required track segment, FRA’s current minimum civil penalty is $853 and the ordinary statutory maximum is $27,904. 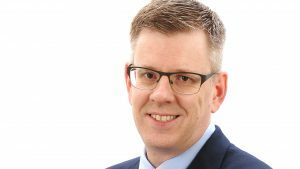 FRA may assess a civil penalty for each day the non-compliance continues. FRA could also opt for a one-time, monthly, quarterly, annual or other time frame. Batory said the end goal of any enforcement action is to compel a railroad to complete PTC implementation as efficiently and safely as possible. NTSB: The hearing took place a day after the 10th anniversary of the Chatsworth, Calif., Metrolink/Union Pacific accident that killed 25 people and injured 102 others. The accident propelled Congress to pass the Rail Safety Improvement Act of 2008, which included the mandate for PTC implementation. Chairman Sumwalt said NTSB urges swift implementation, but noted that only about 40% of the nation’s rail network will operate under PTC, which he says leaves a significantly decreased level of safety along non-PTC track-miles. GAO: Found that 32 of 40 railroads reported that they, or the railroad that owns the track on which they operate, will apply for an extension. 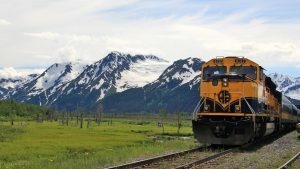 Sixteen commuter and smaller freight railroads reported planning to apply for an extension using substitute criteria, and of these, 12 intend to apply for substitute criteria based on early testing such as field testing. 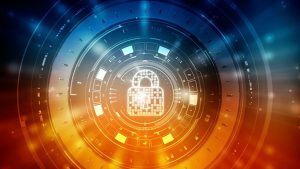 Though substitute criteria are authorized in law, GAO said this approach defers time-intensive RSD testing into 2019 and beyond. In March 2018, GAO recommended FRA take steps to systematically communicate extension information to railroads and to use a risk-based approach to prioritize agency resources and workload. GAO noted that FRA has taken some steps recommended in March 2018 to address communicating and clarifying extension information, as well as using a risk-based approach to prioritize agency resources and workload. Amtrak: The biggest take-away from the hearing was Naparstek’s announcement that Amtrak will file for a 2020 alternative schedule based on “the difficulty of competing testing with so many freight and commuter partners.” Naparstek said 222 of Amtrak’s 315 daily trains currently operate with PTC protection along at least a portion of all of their routes. AAR: Hamberger said freight railroads are addressing interoperability with each other, as well as with their tenant railroads. He called interoperability “the biggest remaining challenge of PTC implementation,” but also noted that by the end of 2018, PTC will be fully operational along 80% of required freight miles. ACE: Mortensen provided several concrete examples of what smaller stakeholders are faced with regarding a tight vendor market. She said PTC equipment was ordered in March 2017, but delivery did not occur until April 2018 due to amount of orders the vendor had. Additionally, the vendor could not establish a site workforce until late June.